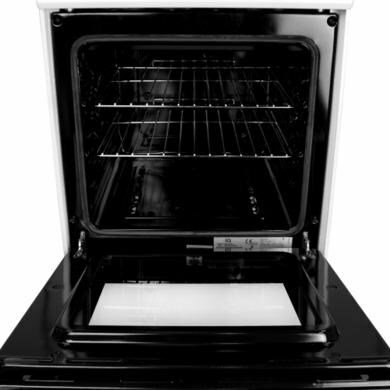 This iQ gas cooker oven from the electriQ range is a single cavity gas cooker with grill and a 4 burner gas hob. 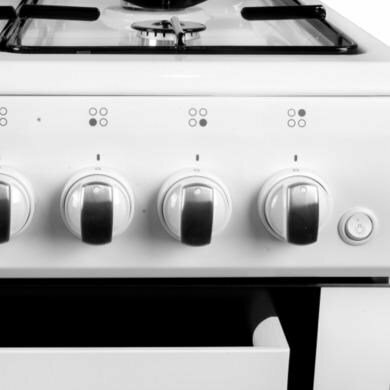 With a host of extra features including a grill pan handle set, auto-ignition and a LPG gas conversion kit, this iQ gas cooker gives you high quality cooking at a value price. 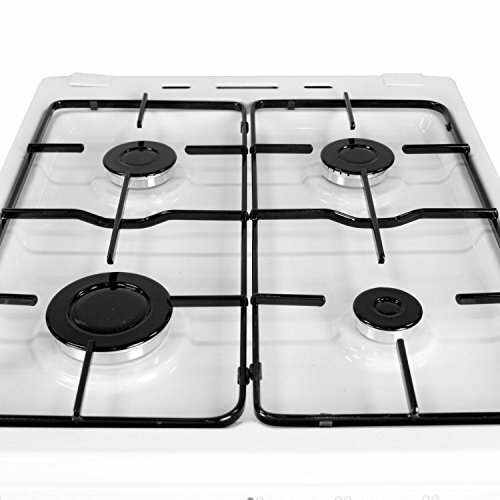 With the speed and precision of gas cooking, this 4 burner hob will help you get cooking underway quicker, with various sized burners to fit variously sized pans on for more flexible cooking. The burners are started up by auto-ignition which makes it much easier for one-handed activation when you’ve got a pan in the other hand. 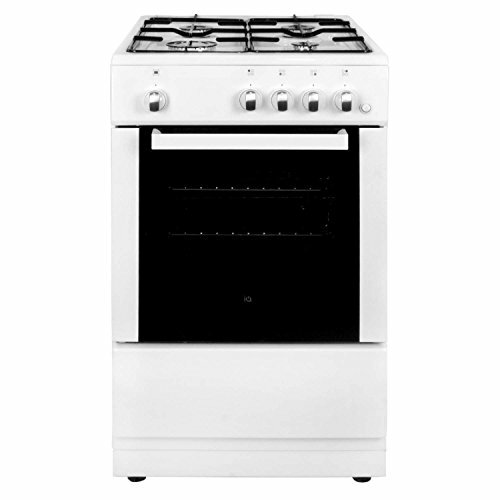 This conventional gas oven has a 48 litre capacity which is just the right size for family meals. Theres even an oven light so you can keep an eye on your cooking without having to open the door. This gas oven also comes with a thermostat that will ensure the temperature is controlled and maintained for accurate and even cooking results.